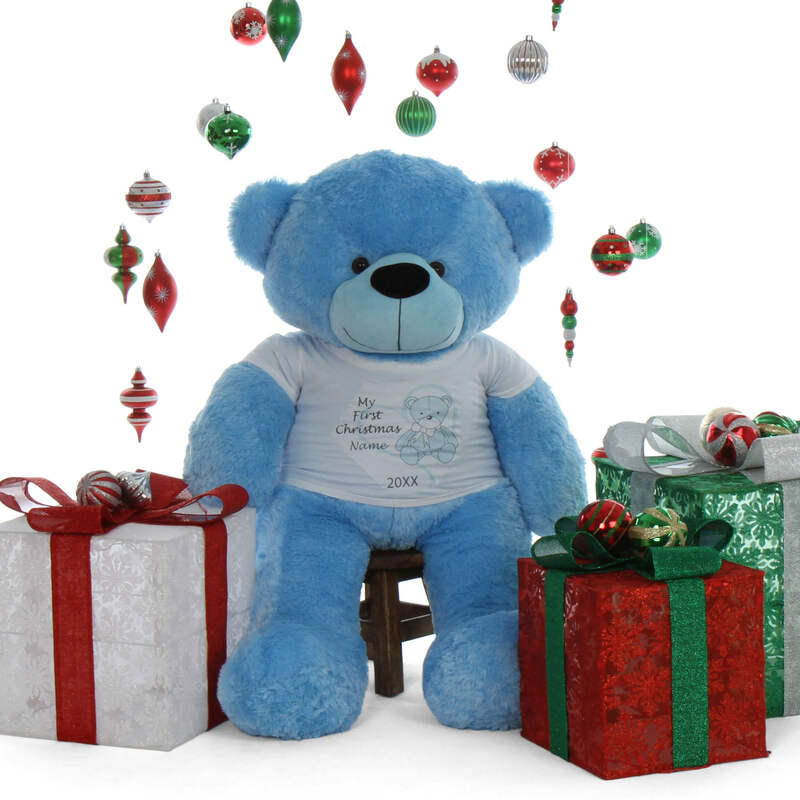 Happy Cuddles is a blue life size 4ft (48in) “My First Christmas” Personalized Teddy Bear, and he will make this first holiday season with your new baby boy extra sweet and memorable with fun photo opportunities gathered around the tree with family and friends. Happy Cuddles has perfect baby boy light sky blue fur that is as soft as – well, a baby! Happy has warm brown eyes, a soft, chubby black nose and a great big smile. For this special occasion, Happy is wearing our personalized shirt featuring the text, “My First Christmas” along with your baby’s first name and the year, and a sweet teddy bear design. The shirt is white, removable and washable. Happy Cuddles can go on to become your son’s Best Bear Friend for years to come – and you can keep the personalized shirt in your baby memory box. Check out our collection of Personalized Giant Teddys here!